We've all been to a Chinese buffet and stuffed our faces on moo goo gai pan, sweet and sour pork with the little bits of pineapple in it, and for some reason, french fries; or we've gotten late night takeout to drown our sorrows in orange chicken and fortune cookies. Either way, we know Chinese food, right? Well, surprisingly not. Here's a list of a few dishes that claim to be Chinese but actually aren't. Now, I know many of you foodies out there will claim that it's Cantonese, which is totally part of Chinese food! Well, right and wrong. Cantonese, yes, Chinese no. See, the Chinese don't really consider the Cantonese or their food legit Chinese. 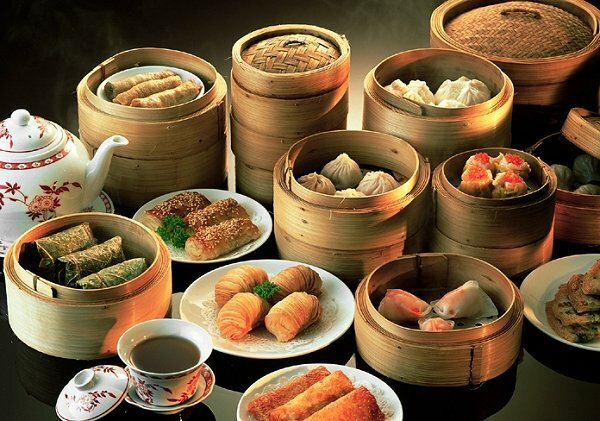 You won't find dim sum anywhere but Hong Kong, or the Guangdong province. Everybody's favorite, I know. They're greasy and deep fried and filled with meat and veggies. How can you go wrong? Well, you can't really, I suppose, except if you say they are Chinese. Once again, this is a more Cantonese dish. In our year of living there and 2 months of traveling China, we only once saw spring rolls, and that was in a Hong Kong restaurant in Chongqing. Many may claim that they are popular all over China, but really, they aren't. It's basically just a wafer like tube, that is apparently made with egg. It's sold in boxes or canisters like that above next to the crackers and cookies in the supermarket. So enjoy the egg rolls. But, but, but nooooo! It can't be, right? Unfortunately, yes. It's not really a thing in China. In fact, lemons are rare and expensive in China, at least in the north, that it's impossible to keep up a dish like this. As for oranges, mandarin oranges are plentiful, but aren't great for cooking, as the flavor is too mellow and honey-ish. So sorry, it's a no-go for lemon and orange chicken. Now, I had never heard of these until Ricky mentioned them, so all of you who haven't heard of them, simply click here . Note the bit about how they are "largely unheard of in China." An American invention, this one. It was first mentioned in 1977, and before that it was unheard of, especially in China. It is named after General Tso (no, really), who couldn't have possible enjoyed this dish, seeing as he died in 1885. Ah, fortune cookies. What's a better way to end a tasty meal of non-Chinese Chinese food? It's crunchy and lightly sweet, and best of all, gives you a message (from destiny, no less!). My heart is breaking but it is my duty to tell you that this, while wonderful, is not authentic. This is a complete invention of the Western world. Why? No idea. Now, having said all of that, let me make a very important statement. Just because they are not authentic does not mean they aren't delicious. They are. They are so delicious. While we were in China, sometimes Ricky and I would crave westernized Chinese grub. 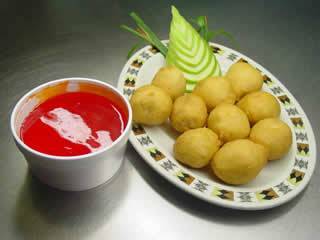 We wanted more sticky sauces, particularly the impossibly red ones. We wanted tangy orange chicken and egg rolls. And we wanted fortune cookies. Alas, we were stuck with real Chinese food--noodles, rice, and more noodles. Great post,this is very intertesting information, Thanks for sharing....!